The Christian faith is based upon the revelation of God in the life of Jesus Christ. Jesus taught people to love one another and embrace the needs of others. Hilaria Asumu developed septicaemia, which led to multiple organ failure, at the age of 35 after suffering a miscarriage. She was later diagnosed with kidney disease, and in 2012 was put on the transplant list. She finally received a transplant earlier this year. 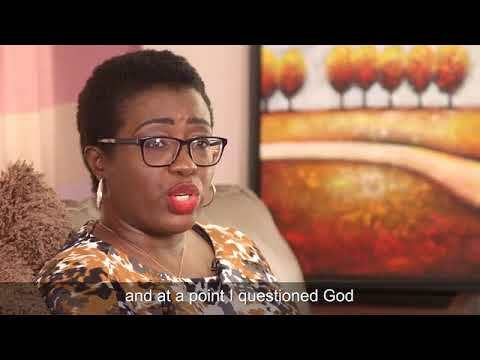 In this video she discusses her experiences her and her faith. Christians believe that nothing that happens to our body, before or after death, can impact on our relationship with God. Celebrating the vision and generosity of organ donors is a way of celebrating one of the most important things in our society – the willingness of countless men, women and children to think and act selflessly. If we are ever tempted to believe that we are on a downward spiral to individualism and narrow self-interest, we should remember these people and their families as a sign of hope and an inspiration to all of us. Thousands of people in the UK today are waiting for an organ transplant that could save or dramatically improve their lives. The simple act of joining the donors’ register can help make the world of difference to those in need. I hope that everyone will consider whether they can give life to others after their own death. The Methodist Church has consistently supported organ donation and transplantation in appropriate circumstances, as a means through which healing and health may be made possible. Making a donation is your choice. But it can be seen differently even in the same religious groups. If you have any doubt, you should approach your religious adviser. You can join the Organ Donor Register here. Make sure you talk to your family and friends about your decision, so they know your wishes. If you support organ donation, why not download our Christian digital, printable and smartphone wallpaper donor cards?